One of Long Island Sound’s summer staples will be taking place this weekend. For the 12th consecutive July, hundreds of kayakers will embark on a paddle across the Sound as part of Kayak for a Cause to raise thousands of dollars for worthy charities. Thankfully, for many years in a row, Save the Sound has been one of those lucky beneficiaries, and we’re proud to say the donations have been put to good use, helping protect the very body of water they paddle across. 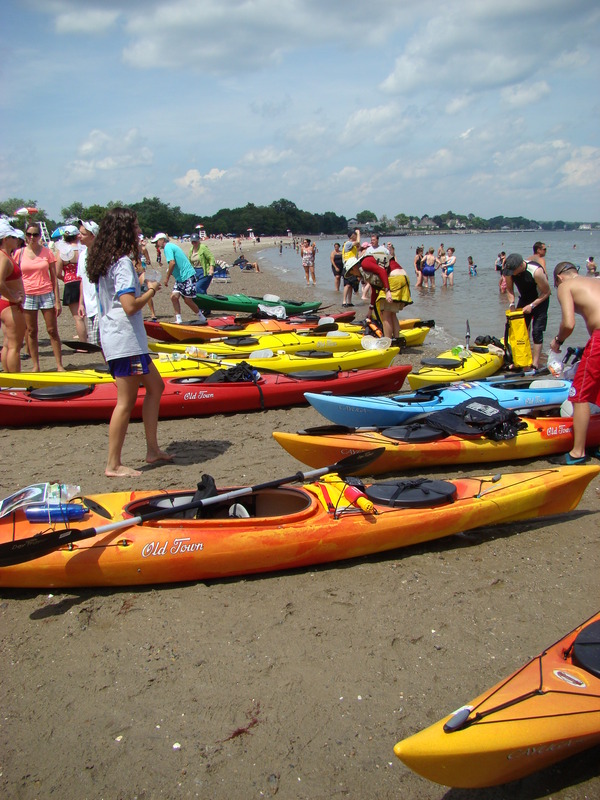 Kayak for a Cause, or better known around here as KFAC, is one of our favorite events of the year. Where else do we get to see so many people enjoying Long Island Sound while helping support local non-profit organizations at the same time? 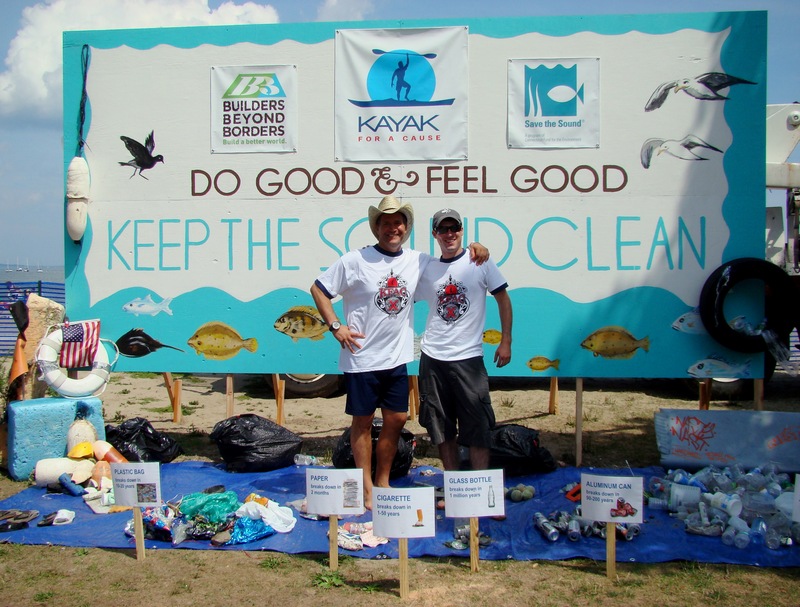 Each year, kick-off parties are held to determine the KFAC charities, and then the volunteer paddlers ask family, friends, neighbors, and co-workers to pledge donations that will be split up amongst the chosen beneficiaries. KFAC was founded in the summer of 2001 by Scott Carlin and Miles Spencer when they made their maiden voyage from Rowayton to Long Island. 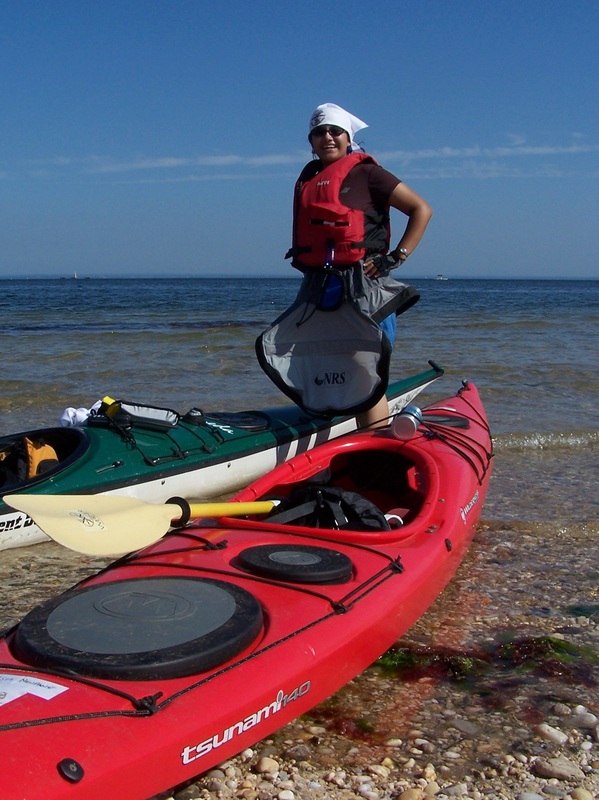 The resulting charity event was created as a way to blend their love of kayaking with helping those in need. KFAC XII is this Saturday, July 21, 2012. Kayakers will start their day on the shores of Long Island in Crab Meadow Park and paddle across the Sound in pods to Norwalk. Some will take their time while others compete to see how fast they can make it, but all will have a great time and earn their pledges in the process. Once again on dry land, there will be a beach party at Shady Beach in Norwalk to celebrate. Save the Sound representatives will be there to welcome all the paddlers to shore and thank them in person for their generosity. If you would like to get involved in KFAC, or want to find out more about the event this weekend, please email info@kfac.com.